Disrupt is an experience to showcase the agency's approach to growing brands by building tech. Featured in an FWA Insights article, our team elaborates on the motivation behind the creation of this site. We live in a digital-first society where CTA conversions can sometimes outmaneuver human interactions and craftsmanship. We want to prove it doesn’t have to be either/or – that strategies are to business objectives as digital experiences are to brand building. They both should be tailored, detailed and intentional to achieve its purpose. We advocate for more diversification in tech. A constant objective in our work is figuring out how to create emotionally resonant experiences through digital. Because of Oui Will’s duality (American strategy and speed meets European engineering and craftsmanship), we often experiment with balancing old world with new world, luxury with accessibility, passion with business, heritage with innovation. We are inspired by the most interesting and engaging qualities of culture and heritage: the craftsmanship in quality materials, the sense of being in real places, the feeling of seeing something beautiful, the awe of different languages and systems. We believe that disruptive and immersive digital experiences are those that can blur the lines between physical and digital, that can evoke a sense of emotion and be unapologetic in projecting the heart and voice of the brand. That’s what we set out to achieve for Disrupt. The lighting is based on HDR maps precomputed on application start to generate several FrameBuffers for different levels of roughness, all PBR based. When shading our models, we switched between the precomputed FBO to emulate irradiance and specular. 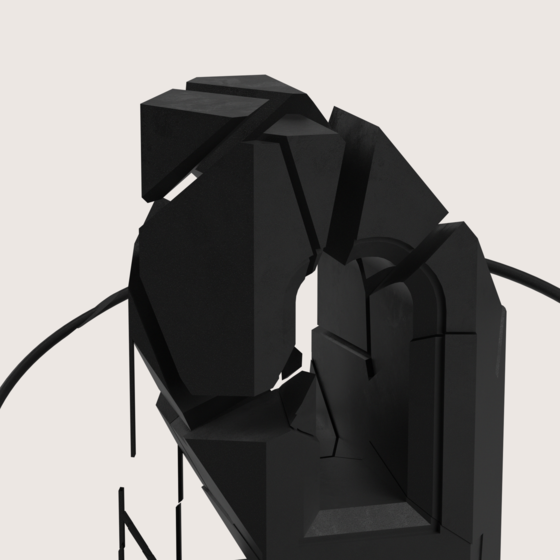 To create the explosion, it was not possible to animate each fragment independently because it would have required too much draw calls and as result, impact performances. As a solution, we split up the meshes in a 3D tool and exported as a single OBJ, preserving the OBJ groups. When importing the OBJ, we assigned an index to each of the vertices corresponding to the fragment/group it belongs to. In a vertex shader, we reused that index to decide which direction to offset the vertice, making it possible to move group of vertices all together, in a single draw call. It’s always an honor we strive for, but winning the FWA award for Disrupt specifically meant more than usual. Disrupt truly required involvement from everyone on the team: identifying need, concepting, creative direction, strategy, copywriting, art direction/design, 3D art, motion design and creative development. When we initially approached our Lead Front-End, there were some real concerns and pushback on whether we would be able to deliver something smooth and seamless across devices. We launched Disrupt, January 2019 but had been working on it since March 2018. It was almost a year-long project, so by the time we released it, we really didn’t know how it would be received. We had seen it too much on our side. So winning the FWA, one of the hardest-judged awards in our opinion, within 24 hours of release, is meaningful validation that our team didn’t work for nothing. It’s the best way to start 2019, setting the pace for the rest of the year.